On Thursday the 21st of September, I had the honour of working as the wedding photographer at Chelsea Register Office, for a lovely couple whose names are Geoff and Alex. This wedding job came about via an email from one of their good friends. You always know it is going to be a great wedding when friends get involved in the wedding planning. Last summer, I helped my two best friends to book a gay-friendly photographer for their Scottish marriage, so the rule stands. 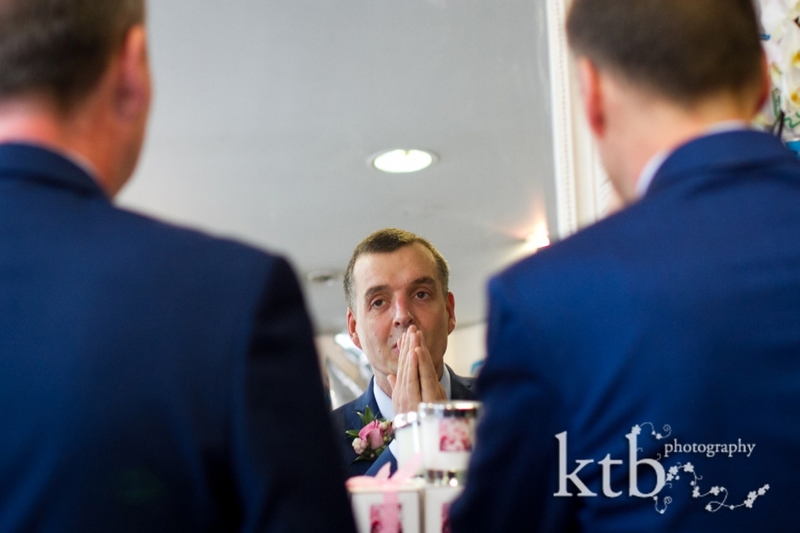 Geoff and Alex wanted a relaxed and informal wedding. I documented the day from its start at the lovely florist Chelsea Wild, then we went to the pub for a few pre-wedding drinks. The ceremony took place at the Chelsea Register Office, followed by dinner at Langan’s Brassiere in Mayfair. It is an elegant but still relaxed venue, perfect for the photographer’s lenses. What I enjoyed the most about Geoff’s and Alex’s wedding was the sense of friendship and family. 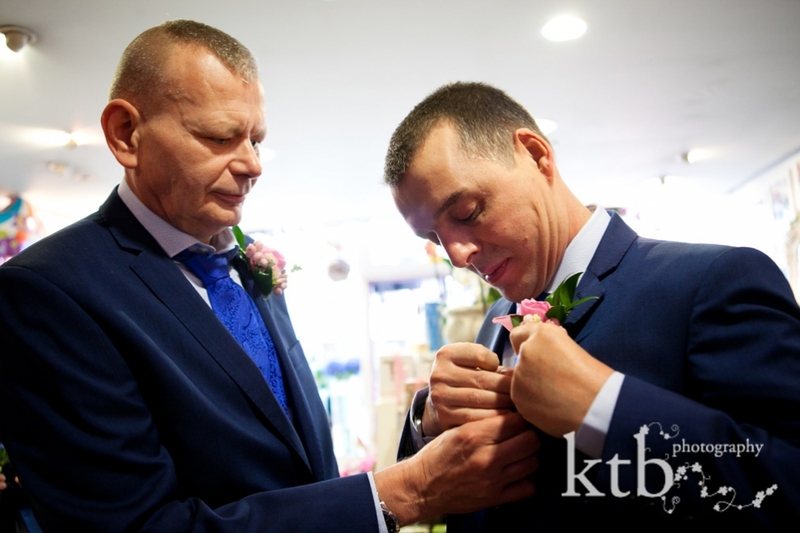 The closeness and kindness really shone through, and Geoff’s and Alex’s friends seemed almost ask happy and excited about their wedding as they did. The flowers were a bit of a surprise on the day. 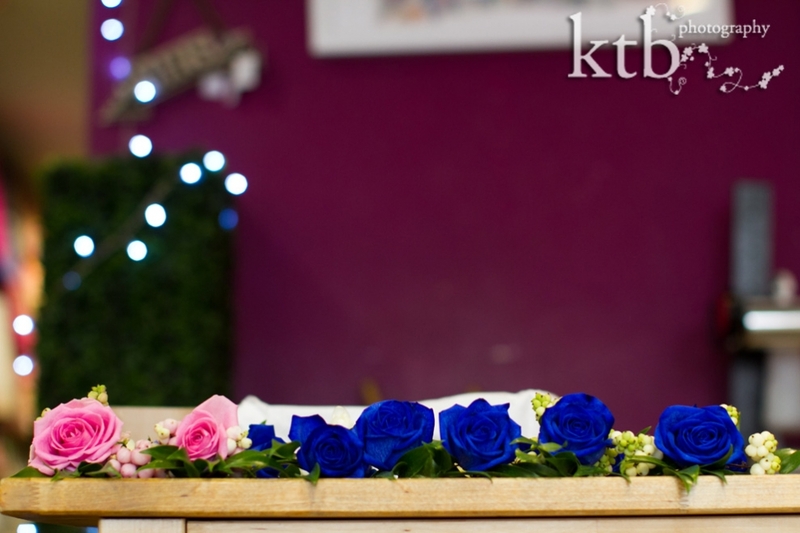 All the guests wore blue flowers and there were two special pink roses for the grooms. The colours looked stunning. Alex carried a six pence for good luck, and Geoff toasted the day with a whisky before heading by taxi to Chelsea Register Office for the wedding ceremony. The warm and sunny September late afternoon was perfect for greeting and chatting with guests on the Kings Road among the hustle bustle of passersby, and then everyone headed into the town hall for the short but perfectly formed ceremony. For the evening, it was drinks and dinner at the ever-classy Langan’s Brassiere in Mayfair, and I loved the moody lighting and atmosphere amongst the fantastic collection of artwork. As everyone enjoyed champagne and nibbles, it was a relaxed and happy evening and the fitting ending to a day which saw Geoff and Alex married at Chelsea Register after 25 years together, and which I completely enjoyed being their wedding photographer. Congratulations to the grooms!